My friend Richard is a serious walker. He doesn’t think twice about twenty-five miles in a day, and goes walking with people who’ll tackle the West Highland Way (94 miles) carrying their own rucksacks. So a walk along the Derbyshire Monsal Trail [see Changing trains in the middle of nowhere: Miller’s Dale Station] counts as a gentle stroll. This is the former railway line between Derby and Manchester that has so many tunnels the railwaymen called it “the flute”. Richard told me that as he walked across Monsal Dale Viaduct on a hot day in a T-shirt recently he was suddenly confronted with a blast of cold air. This turned out to be the draught from Headstones Tunnel, which for years has been bricked up with a locked steel door for inspection parties. Now the tunnel mouth is open again, and work proceeds to make it accessible to walkers, complete with lighting. This welcome development is flagged on the Peak District National Park website: http://www.peakdistrict.gov.uk/index/visiting/cycle.htm. 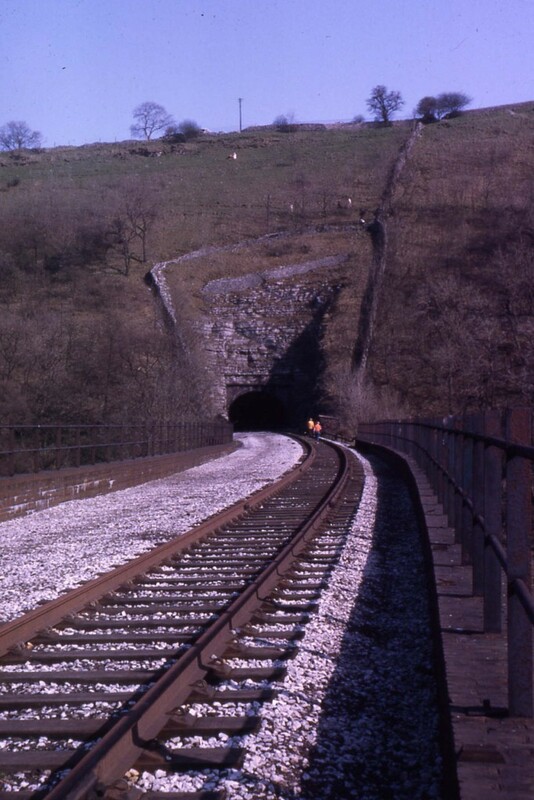 One might ask, what happened to the proposal to reinstate the railway line from Matlock to Buxton, which at present stops at the PeakRail terminus at Rowsley [see Rails across the Peak]. The most probable answer is not that there’s a bridge missing across the A6 road at Rowsley, but that there’s a problem a little further west. UPDATE: Richard told me (riding through another railway tunnel on a train, on our way to a Friday night at Anoki [see Cosy Curry]) that the Monsal Trail tunnels are now open: http://www.peakdistrict.gov.uk/index/news/news-display-page.htm?id=24902. This entry was posted in The Derbyshire Derwent Valley, Transports of Delight, Waterways & Railways across the Derbyshire Peak on December 29, 2013 by Mike Higginbottom.